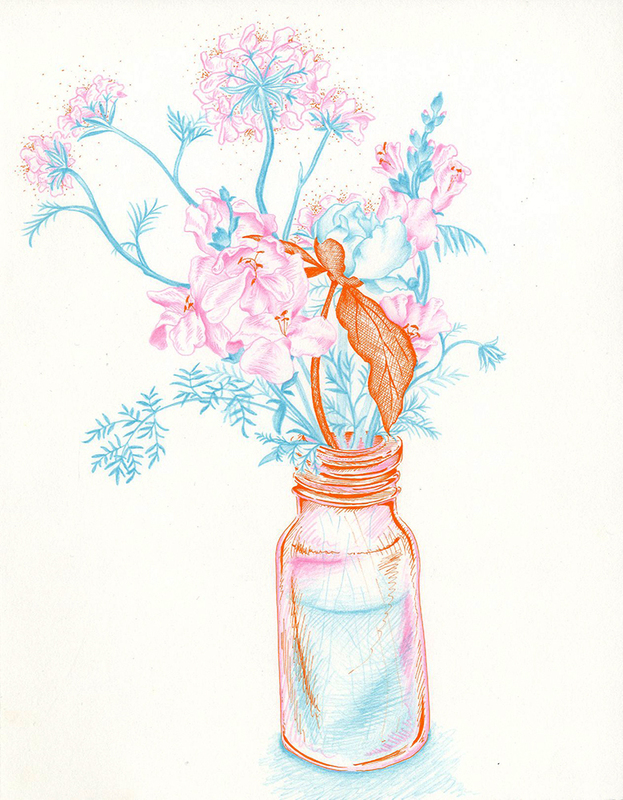 flores de color is an ongoing observational drawing practice with artist Eugene Sarmiento (www.eugenesarmiento.com). 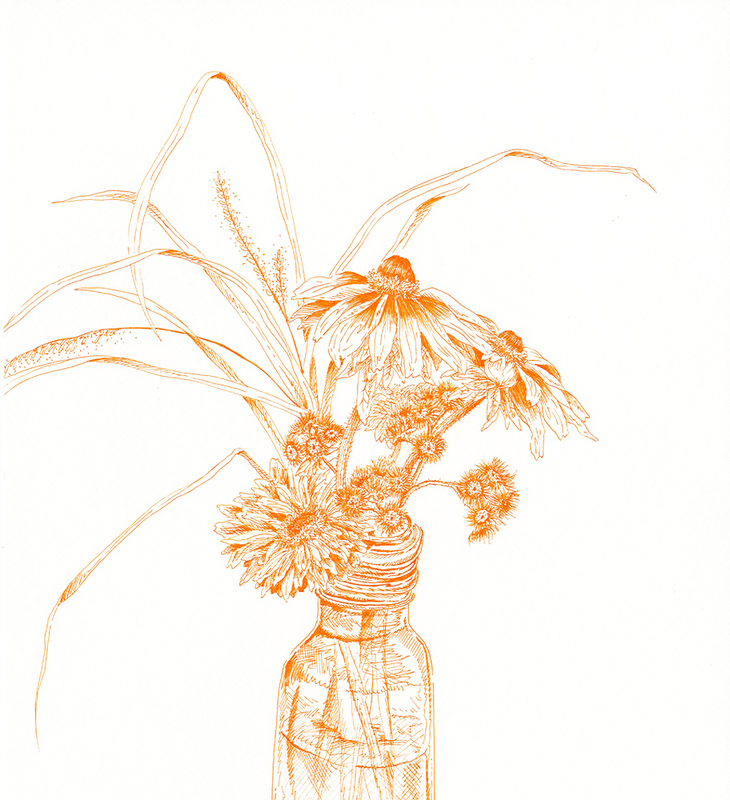 As two artists working in the medium of drawing, we have made it a task to have a daily still life flower drawing session to train our eye to see detail and color in the subjects that we are examining. Our project flores de color is a new phase in our daily practice to limit our use of color palettes according to our skin tones. Eugene is Mexican-American hailing from Dallas, TX and Fuko is Japanese, coming from Kobe, Japan. As people of color, we respectively have had experiences where we were stereotyped and judged for our appearances. flores de color aims to personify flowers in order to highlight and mimic our perception of personhood and color.